IT’S HUGE Over 25,000 questions make this the largest quiz game ever on console. INTELLIGENT PERSONAL GAME HOST Meet Salli, the latest in AI-technology. Witty and devious, she’ll pit you against friends and family, encourage you, and put you to the test as you play along. EVERYONE CAN PLAY With thousands of categories to choose from, it’s perfect for all ages! From cartoons to video games, sports and history: we’ve got you covered. USE YOUR SMARTPHONE Up to 8 players can simultaneously play together using their smartphones! 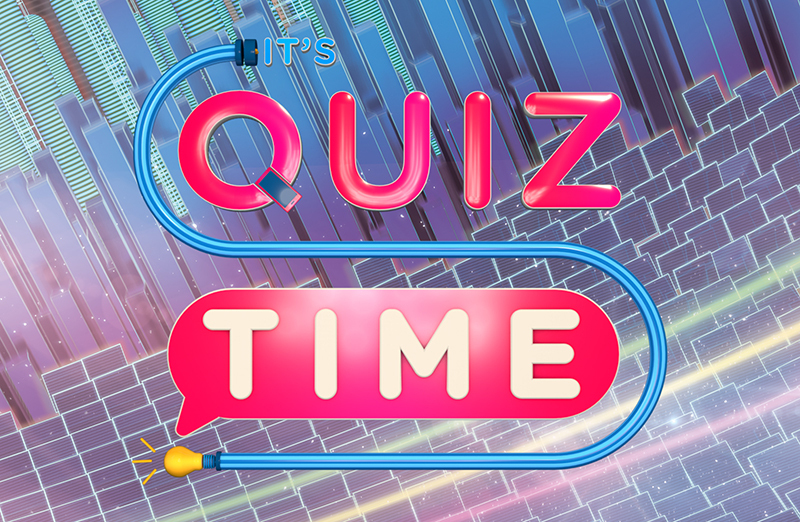 Take selfies, hide your answers, and share with your friends – It’s Quiz Time gives you a whole new way to play. PACKED WITH GAME MODES Play along with topical quizzes based on real-world events, grab your controller for the Solo Score Attack, customise your round playlist, and more! INTERACTIVE STREAMING Broadcast your game on Twitch, YouTube, or Mixer, in the innovative Live Show mode, where you can compete with up to 10,000 viewers. So grab your smartphone and join Salli for the biggest party trivia game on console and PC with It’s Quiz Time! Based in Brighton, UK, Snap Finger Click was founded in November 2015 and specialises in building a new generation of games for people who want to play together. They’re a team with experienced staff whose long careers in gaming and technology include stints at Sony PlayStation, Electronic Arts, Yahoo!, and Relentless Software. They released their first game, ACT IT OUT! A Game of Charades, on the PlayStation 4 in 2016 after just three months of development. They later added an innovative ‘Live Show’ feature for playing over Twitch, and also brought the game to Wii U. Since then, the team – mostly made-up of ex-Buzz! quiz developers – has been working hard on a new party game, It’s Quiz Time.